On Jan. 24, the Conservatory of Recording Arts and Sciences (CRAS) will share its recipe for preparing the next generation of audio professionals at its facility in Tempe, AZ. The special event for SVG members and sponsors will offer a tour of the technical school’s 25,000-sq.-ft., 13-studio facility and 42-ft. mobile broadcast unit. Sign up today to tour CRAS and learn more about next-generation audio developments on Jan. 24. 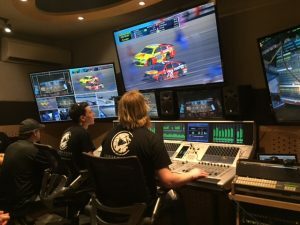 During the tour, you will share an immersive experience of mixing a NASCAR race and a Major League Baseball game, just as the school’s students do. Hear from Sports Broadcasting Hall of Famer Fred Aldous on why he was so instrumental in developing a Broadcast Audio program, in alliance with CRAS. The event will be held from 11:30 a.m. to 12:45 p.m. and includes lunch. The event is open to end users (video-production professionals working for broadcasters, leagues, teams, universities, digital outlets, etc. ), It is also reserved for SVG sponsor companies and CRAS-partner invitees. Your attendance is subject to approval by the SVG staff.